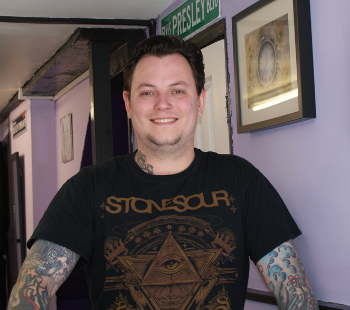 Old Sarum Tattoo Studio's owner and resident artist is Darren Hubbard a highly skilled tattooist with over ten years of experience. Darren is expert in both black & grey and full colour tattoo designs and is open to working in a wide range of tattoo genres and styles. Whether you are planning your first tattoo, looking to add something new to your tattoo collection or working on a full bodysuit, talk to Darren. He understands how important each tattoo experience is, no matter how big or small and works with each client to produce a tattoo you will love. You can call Darren on 01722 410 767, complete our contact form or pop into the shop at; 1A Dews Road, Salisbury, Wiltshire SP2 7SN.